Welcome to Day #2 of A Series of Sesame Chocolates. This week people are watching the World Series (baseball play-off) games. 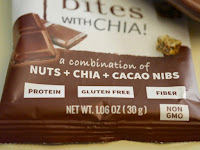 However, I'm focused on a series of a different sort: 4-5 chocolate items with sesame seeds. Today's Chocolate Bites with Chia! 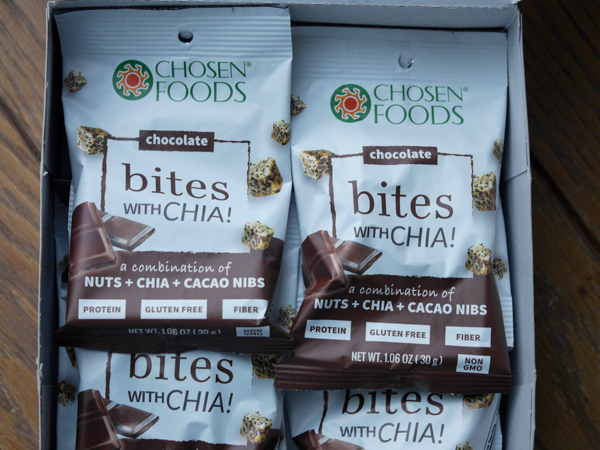 were made in Mexico and distributed by Chosen Foods, LLC (San Diego, CA). 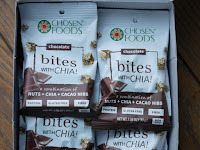 The small, crunchy, gluten-free cubes, or bites, inside each packet were made with nuts (pecans and almonds), chia (organic chia seeds), and cacao nibs. 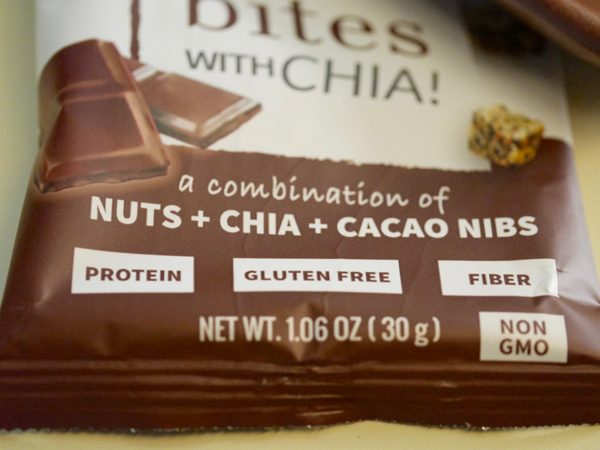 However, the first ingredient listed was organic sesame seeds. 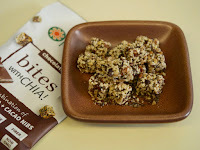 These bites were relatively high in protein (5 g.) and fiber (4 g.), and were very lightly sweetened (cane sugar (3 g.) was number five on the ingredient list), making them a relatively healthy snack choice.